It is interesting to know how we are described to the world, by those outside the fraternity. 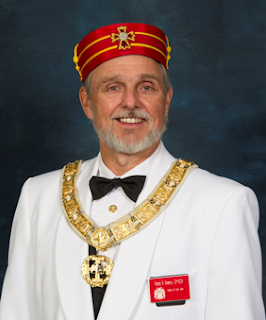 The following is taken from Wikipedia, under the heading “Scottish Rite” The Ancient and Accepted Scottish Rite of Freemasonry (the Northern Masonic Jurisdiction in the United States often omits the and, while the English Constitution in theUnited Kingdom omits the Scottish), commonly known as simply the Scottish Rite, is one of several Rites of Freemasonry. A Rite is a progressive series of degrees conferred by various Masonic organizations or bodies, each of which operates under the control of its own central authority. In the Scottish Rite the central authority is called a Supreme Council. The last sentence above is particularly interesting, as those of us traveling to New Orleans this year will have the privilege of attending a Scottish Rite first degree conferred by Germania Lodge. Germania Lodge #46, GL of Louisiana, USA "The Lodge works in the Scottish Rite Symbolic ritual - one of only ten Lodges under the jurisdiction of the Grand Lodge of Louisiana which work in this historic ritual. The ten Scottish Rite Lodges comprise the 16th District of the Grand Lodge of Louisiana."